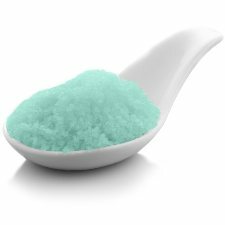 Harmony Bath Salts are perfect for the busy professional who needs to de-stress and create their own peaceful escape at home. 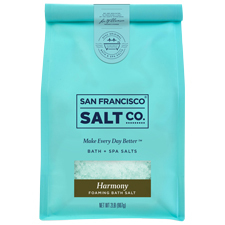 This salt is great for personal bathing use at home and also as a high end pedicure soak. Try sprinkling some serenity salt onto wet skin in the shower and use as a gentle body scrub to remove dead skin cells. Doing this will also release the natural essential oils in this blend to create a soothing aromatherapy experience in the bathroom. Color: Aqua (actual color may differ from color shown on your screen). Scent: Harmony Essential Oil Blend - An all natural blend of Lavender, Eucalyptus and Ylang Ylang essential oils.